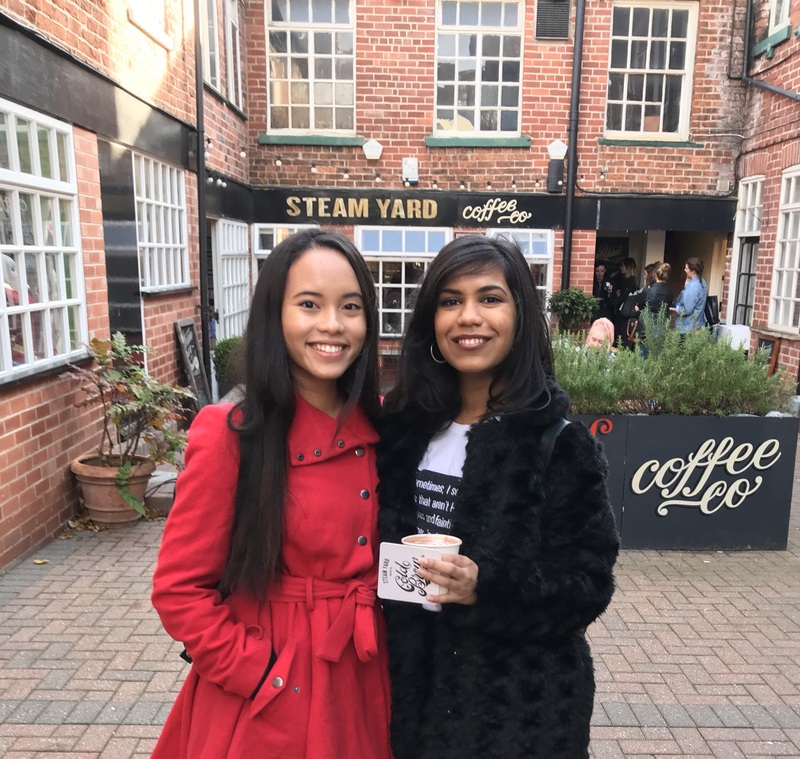 Have you ever met up with someone for the first time, you get talking, you listen to their story and start feeling so refreshed, inspired and motivated? Last year, I felt like this a lot when I met new people. Without fail, their lively energy would pass on to me. It was always so refreshing! I wanted to start sharing these inspiring figures on my blog for you to get to know them a bit more and any exciting projects they are doing and to generally pass on things I picked from them and get excited by their topics! An engineering student, artist and lover of all cute things. 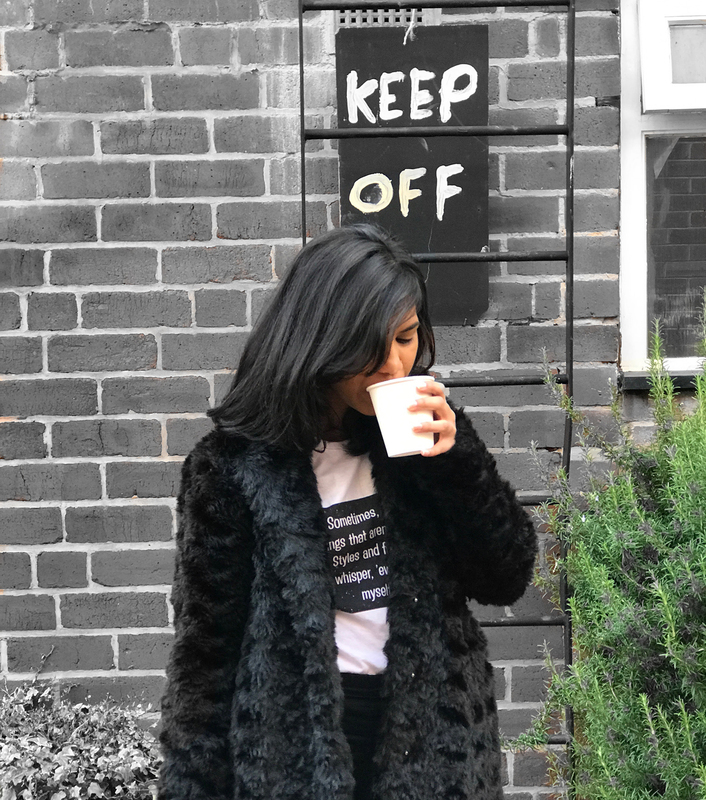 She’s from Manchester but is currently in Sheffield to become a fully-fledged engineering-artist-entrepreneurial girl boss! We first started talking on Instagram, when she followed me and we both spam-liked each other’s photos (this is a sign of sisterhood, is it not?) Since then, I’ve admired her positivity and genuine passion for what she does, it’s a constant reminder to me to continue working towards my passions. You can find her on Twitter, Facebook and Instagram, she also has her own website: Teecaake. Take it away Tahira! No one ever believes me when I tell them, but I first started drawing when I was 4! There are so many things I did even last week that I’ve forgotten but my love for art that early on in life is something I’ll never ever forget. I used to be gifted a lot of story books as a child for birthdays and such, so much so, it became a tradition. Of course, I’ve always loved to read, but the true reason I’d always asked for books was because they always had a white blank sheet at the front and back of the book and that’s where I unleashed all my creativity. I figured my love for art was a secret I wanted to keep from everyone and this way I got to hide my doodles away in my own little world. I used to flick through the pictures in the books I got and try and recreate them with my own twists. Naturally, I convinced myself I was going to be a fashion designer – a phase I’ve only recently recovered from. I was a huge Dora the Explorer fan and having the same haircut as her, I remember always more or less drawing the same girl with different dresses and shoes. I started ‘Teecaake’ the summer after I finished college when I had to take a gap year due to some visa issues and other private matters. At that point, I’d only just discovered the faceless style of drawings I now do and it definitely wasn’t something I saw a future with, let alone building it up into a mini empire of my own. My little sister, however, decided to persuade me to open an instagram account for my art and over 2 years later, here I am. When I first started ‘Teecaake’ properly, I never dreamed it’d be where it is now. It began as a coping mechanism and an escape from a lot of things happening in my life at the time. It was the one thing that I was completely in charge of and all aspects of it were 100% me. That’s what I love the most about ‘Teecaake’. I’ve put everything into this business and I want it to keep growing just as I do as a person. There are two types of work I do: my own and custom commissions. I’m always on the lookout for inspiration whether it’s on my social media feeds, people I see on the streets, around university, things I read or things people say to me. Once an idea strike, it’s a pretty simple process from there on in. I collect a bunch of reference pictures and lay them up on my computer screen to create a make-shift moodboard. I get to my sketchbook as soon as I can and sketch a very rough idea. This usually involves a lot of loose shapes and pseudo complex geometry. Once I’m happy with the way the sketch looks, I draw out my whole idea in pen, colour it in, scan in my drawing, clean up messy lines and finish it up using Photoshop. As for commissions, there’s usually some more research work to be done depending on how much information the customer has provided me and how much creative freedom they’ve given me. Art has been and always will be an escape for me. It makes me happy, that’s the simplest way I can explain why I do it. Art is the one thing in the world that I do that I can 100% control. I can mould it and change it however I like and no one else’s opinions about how or why I do it matters. Everything about art is aesthetic and so meaningful. I do what I do because I love it and I’m pretty good at it too might I add. I’m proud of the work I create. It enriches my self-esteem. I like being able to express myself through a drawing and showing it to other people. It’s second nature to me. 👩🏻‍🎨👩🏻‍🔬STEM and Art – What’s it like? A living hell. Engineer by day, artist by night. But I get it done because complaining would take the fun out of it and I love both of these aspects of my life just the way they are. ☕ Coffee – Where’s your favourite place? This is the meanest question anyone’s ever asked me! My list is extensive beyond measure. But for Sheffield specifically, it’s always going to be Steamyard. I’m sure I’ve over-communicated this on my social media but this incredible lady also created this image with her magical artistic abilities to help represent Pawlean on the internet – I’m absolutely in love! I now proudly show it off EVERYWHERE: my “Online” page,YouTube, Facebook and portfolio website. 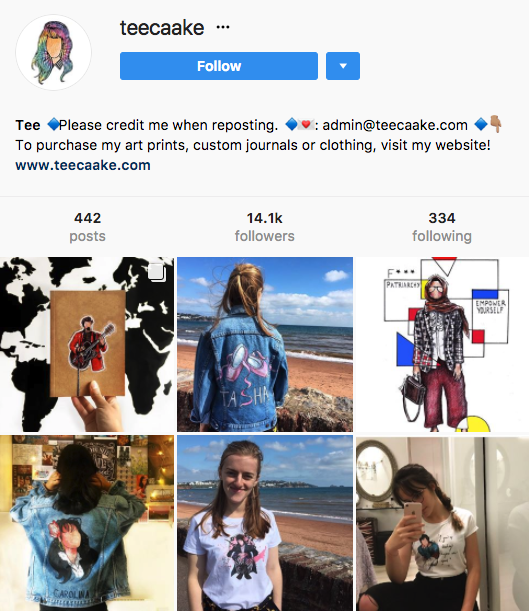 If you’re interested in her work, remember to check out Teecaake for her own artwork or even have something custom-made! I can only imagine how hard it must be balancing those two things! Honestly so very humbled to have been the first to feature in this new series of blogposts! I’m so glad you like my art and have given me a platform to share my work with tons more like-minded and motivated people such as yourself. So that’s where that image of yours came from! YES she’s the artist behind it, she’s honestly incredible! I love this! What a badass. You know you love something (or things!) when it’s crazy hard/stressful to fit them both in, but you manage to do it anyway! I think a lot of us bloggers can relate with that haha. Thanks for sharing yet another amazing, talented, and inspiring woman! It’s great that you’ve decided to start this blog series. Tahira is so talented with her artwork! So cool that she made some money out of something she enjoys doing on the side and she did a great job with your avatar! Glad you’ve gotten to know her well! Awesome! This sounds like an incredible series, and it was so cool to find out more about Tahira, her motivations, inspirations, process and much more. 😀 I hope she has a fantastic future! “Have you ever met up with someone for the first time, you get talking, you listen to their story and start feeling so refreshed, inspired and motivated?” — I get a dreamy look on my face and my heart starts beating faster. Is that weird? Sounds like I’m falling in love, but I swear it actually happens. I love people that are so inspiring that I’m just like heart eyes. Loving this new segment of your blog and I’m looking forward to more posts. 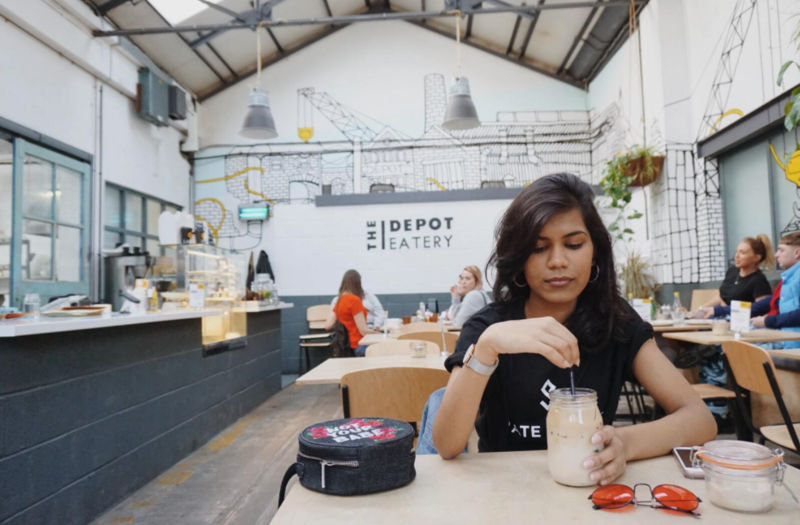 Tahira is so talented – thank you so much for sharing this awesome woman! Loving your new header, as well! GIRL YES. I SO RELATE TO THOSE FEELINGS. I remember meeting Tee for the first time, we were literally just crying @ each other LOL. Love the artwork! I would never have thought someone would like both engineering and art at the same time haha. I like art while my fiancé likes engineering and we consider ourselves total opposites 😉 How cool! I love the name Tea & Cake for this blog series! I also love that Tahira is both an engineer and artist. People don’t always realize that techy people can be artistic too, and I often get surprised looks when people find out I do photography on the side. That’s great that her sister convinced her to share her art and that it really took off from there. I think her faceless style is really interesting and eye-catching! The image she created for you looks so good too! I’m actually going to change it each time depending on the guest 🤗 Thanks for your comment Cat! Wow, what amazing work. I love that “Stop Skinny Shaming” drawing, looks beautiful.